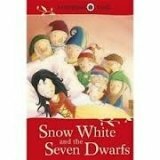 This beautiful hardback Ladybird edition of Snow White and the Seven Dwarfs is a perfect first illustrated introduction to this classic fairy tale for young readers from 3+. Ladybird Tales are based on the original Ladybird retellings by Vera Southgate, with beautiful pictures of the kind children like best - full of richness and detail. Children have always loved, and will always remember, these classic fairy tales and sharing them together is an experience to treasure. Other exciting titles in the Ladybird Tales series include Sleeping Beauty, Rumpelstiltskin, Rapunzel, The Magic Porridge Pot, The Enormous Turnip, Puss in Boots and The Elves and the Shoemaker. Ladybird has published fairy tales for over forty-five years, bringing the magic of traditional stories to each new generation of children.